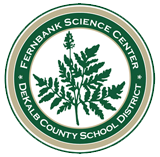 Fernbank Science Center has a long tradition of offering exciting professional learning opportunities to teachers. The classes range from 1 hour sessions to multi-week international trips. The classes are taught by our highly skilled scientists and science specialists. Each class is different in approach, but the goal is the same... "to give teachers the content and background they need to deliver engaging, standards based science lessons to their students." Many classes are taught at the science center during the school year and over the summer. Others classes have gone to Costa Rica, Mexico, the Galapagos Islands, Ossabaw Island, and many other exciting destinations. Explore the links below for more information.